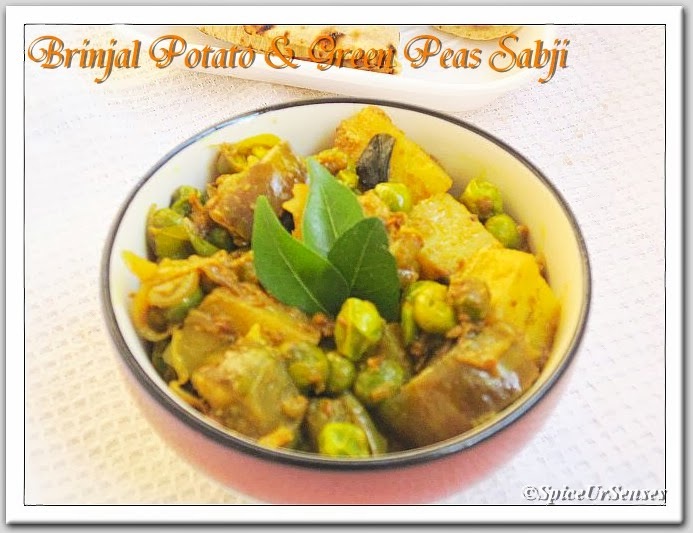 Brinjal Potato And Greenpeas Sabji!!! Cut the brinjal, potato in medium size pics and set it aside. Then chop the onion,chili and tomato finely. Heat the oil in a deep frying pan, add cumin, when they start splutter. add onion, green chilly and saute for 2 to 3min. Then add all the masala powder and tomato, fry till oil separates. Now add brinjal, potato, greenpeas and salt then mix them well. Cover the lid and cook till it is completely cooked. Sprinkle some coriander leafs from top before serving.. Serve hot with Roti or as a side dish for Rice. 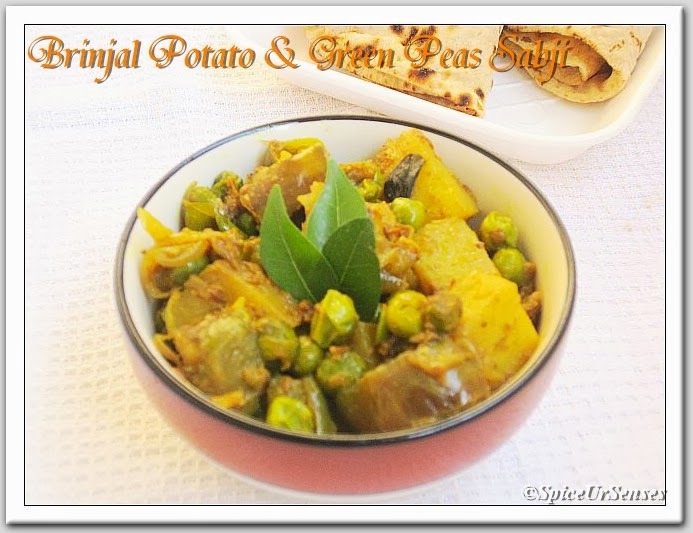 never tried to add peas with brinjal dear.. like it.. Very colorful and inviting subzi. This healthy combo looks fabulous! delicious combo of vegetables, looks yummy. 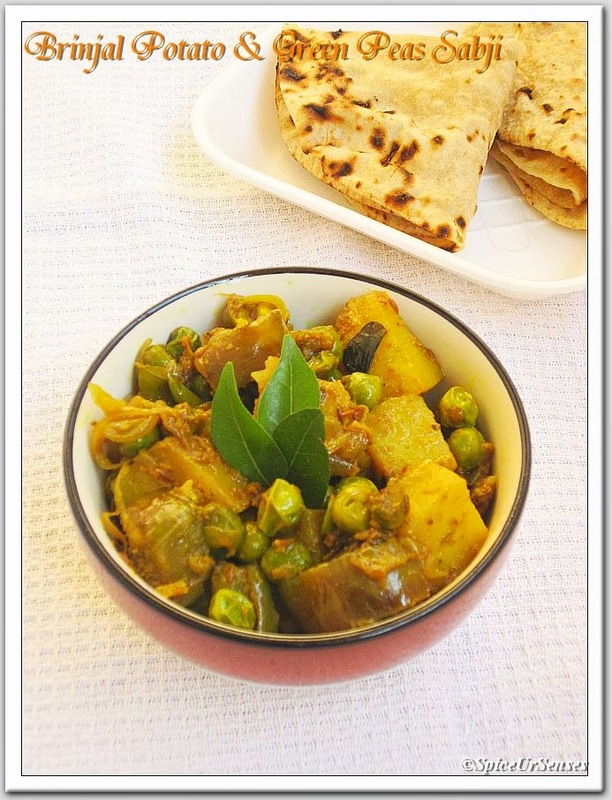 Very interesting and delicious dish,a prefect side dish for rotis.